We work hard to keep our delivery costs as low as possible. Before you purchase a ZZap product you will have the option to choose a delivery method that is suitable for your item and destination country. Prices for each delivery option will be clearly displayed. If we receive payment for your order before 2.30 pm (CET time), we will aim to dispatch your order on the same working day. If we receive payment for your order after 2.30 pm (CET time) we will dispatch your order on the next working day. If we receive payment for your order on a public holiday, we will dispatch your order on the next working day. ZZap uses two of the most well-known and trusted UK couriers, Royal Mail and Parcelforce. Parcelforce delivers on Monday to Friday. Royal Mail delivers on Monday to Saturday. Each delivery method and its delivery time is detailed below. Please note, you will be offered the most suitable delivery methods for your item(s) size & weight. ‘Tracked’ means you can obtain real time location updates via a tracking number which is provided by us. To track your package, enter the tracking number on the Royal Mail or Parcelforce website. ‘Signature required upon receipt’ means the recipient will have to sign for the goods before receiving them, for proof of delivery. Delivery times are only applicable once dispatched (see dispatch times above). All delivery times stated are not guaranteed and may be influenced by factors out of our control. ZZap uses a number of well-known and trusted couriers to ship orders worldwide for example UPS, DHL, etc. ZZap will select a suitable courier depending on your item(s) size, weight and destination country to ensure the quickest delivery time. Delivery cost & estimated delivery time will be clearly displayed on the ‚basket‘ page. All international orders will be ‚Tracked‘ so you can obtain real time location updates via a tracking number (provided). The recipient will have to sign for the goods before receiving them, for proof of delivery. If you have a ZZap account: click the person icon at the top right and sign in. Then click on “Orders” and click “view” next to your order. This will show the status of your order and show a tracking number if applicable. To track your item in real time, visit the https://www.parcelforce.com/track-trace (Parcelforce) or https://www.royalmail.com/track-your-item (Royal Mail) website depending on what service was used and enter your tracking number. If you do not have a ZZap account: You will receive an email when your order has been dispatched. The dispatch time and transit time will depend on when you purchased the product and what delivery service you chose upon checkout. See the sections above for more details. If you would like to pick up the product yourself, please get in touch through our contact page and we will be happy to organise a convenient pick up date/time. Payment can be made in advance or upon receipt. We offer a market leading 3 year extended warranty for most* of our products. To claim your 3 year warranty you must register your product with us (details below). If you do not register your product, it will be covered by a 2 year warranty. *The products listed below are not covered by the 3 year extended warranty. Their warranty periods are stated below. 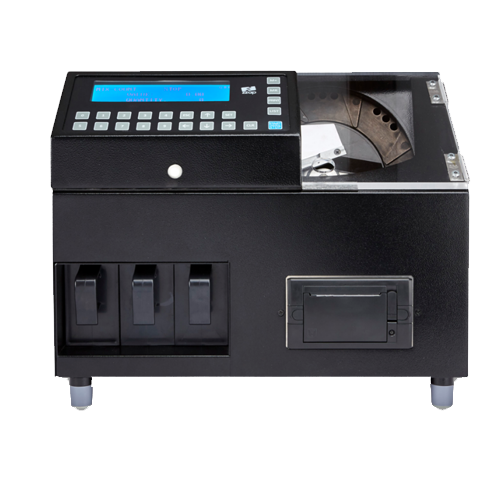 Different coin counters & sorters are designed to handle different coinage volumes. We offer a range of light duty to heavy duty coin counters & sorters to suit different coinage volumes. 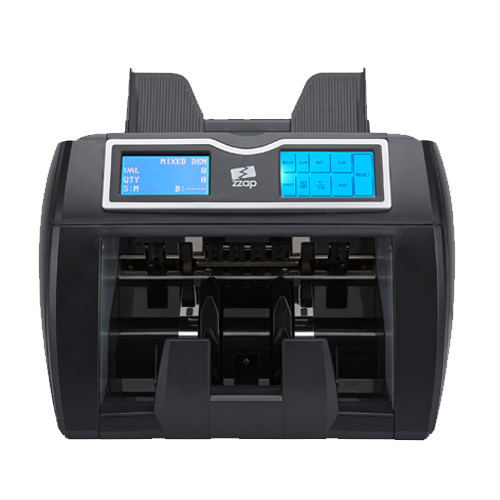 Coin counter & sorter warranties are void if the user exceeds the fair usage warranty. 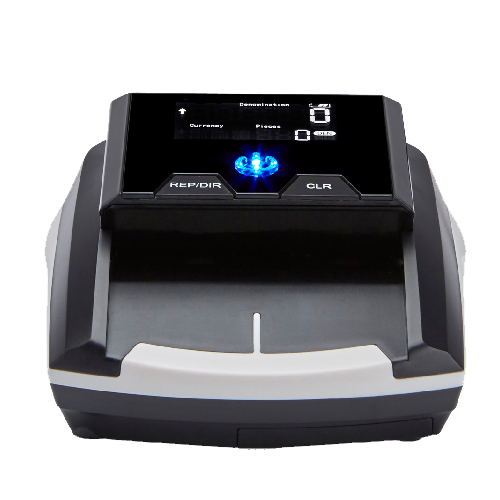 The fair usage warranty is displayed in the coin counter & sorter comparison table next to “Fair usage warranty” (p.a. stands for per annum). We hope you enjoy your ZZap product! To register your product, log into you’re existing ZZap account (or create one) at www.zzap.com, then click the “My Products” link and follow the instructions. To receive the 3 year extended warranty your product must be registered within 30 days of purchase. The extended warranty begins on the date of purchase. If in the unlikely event your product needs to be repaired; get in touch via our contact page. We require ‚proof of purchase‘ which clearly displays the purchase date e.g. a payment receipt, order confirmation email, etc, in order to process your claim. If your product is under warranty, we will repair it free of charge. Our expert in-house team will professionally repair your product in the shortest possible time. UK warranty claims: postage and packaging costs are shared; the customer is responsible for postage & packaging costs to seller and the seller is responsible for postage and packaging costs back to the customer. Warranty claims outside of the UK: the customer is responsible for inbound and outbound postage and packaging costs. If you need your product repaired after your warranty has expired, we will be more than happy to assist you. Get in touch with us via the contact page for a no-obligation quote. Please note that you will need to cover the postage and packaging costs. If you require a longer warranty period than those on offer, we may be able to offer an extended warranty to suit your requirements. Get in touch with us via the contact page for a quote. Here at ZZap we pride ourselves on our outstanding customer service. The ZZap money back guarantee means you can easily return your product with ’no questions asked‘ and our market leading 3 year extended warranty ensures complete peace of mind. We respect our customers‘ decision to change their mind. When you shop at www.zzap.com, we offer a ’no questions asked‘ 14-day money back guarantee for all our products. During the 14-days you can return an item that has been purchased from our store for a refund, without stating a reason. To return an item, the product, packaging and all its accessories (e.g. manuals, adaptors, and so on) must be received by us in a new, unused condition. This means you may inspect an item to determine its suitability, but you may not use it; any action that renders the item “used” voids your right to the 14-day money-back guarantee. We may reduce or decline your refund if these requirements are not met. Return instructions must be followed. The buyer is required to send the product back to our location and is responsible for all postage & packaging costs. All refunds will have the outbound postage charge (the delivery price you paid at checkout) deducted from the refund to cover our postage costs. Once we receive your item, we will process your refund within 30 days. We offer a wide range of payment methods for your convenience and unlike other stores, we never charge any transaction fees. All payment methods are fully secure, for more details click on the ‚Security‘ tab above. Card information is transferred via a secure SSL connection so your card details are fully protected. There are no additional charges for paying by card. PayPal stores and safeguards your card and bank details, enabling you to pay online without entering your sensitive financial information. PayPal takes the payment from your card or bank directly so your payment details are never shared on the Internet. Its simplistic yet secure payment process means you can speed through the checkout in just a few clicks. If you would like to pay for a ZZap product via a bank transfer please get in touch via our contact page and we will provide you with the necessary instructions and financial details. We will dispatch your order once we have received your payment. If you would like to pick up the product yourself you have the option to pay using cash. Get in touch via our contact page if you would like to arrange a collection. What are counterfeit detections and what is the difference between them? For example ultraviolet light, metal thread, infrared, etc. All banknotes incorporate various security features that help you identify a genuine banknote. For example when UV light is shone on certain banknotes, UV markings printed on the banknote illuminate. Different counterfeit detections check different security features. The more counterfeit detections the device has, the higher the detection accuracy. What does Bank of England & European Central Bank certified mean? The Bank of England (BOE) is the central bank for the United Kingdom and its main role is to maintain monetary and financial stability in the UK. The European Central Bank (ECB) is the central bank for the Eurozone and its main role is to maintain monetary and financial stability in the Eurozone. 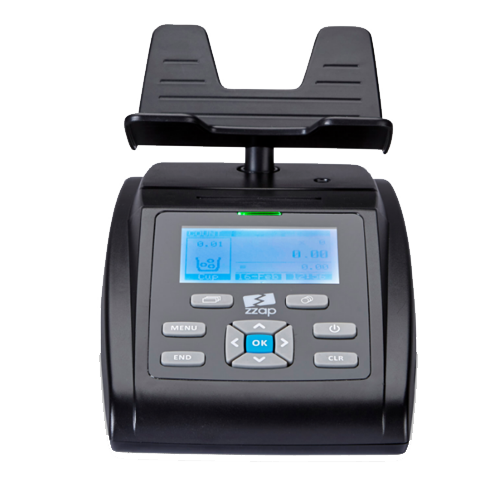 BOE and/or ECB certified means the product in question has been tested by the BOE and/or ECB to test the counterfeit detection accuracy of the device. All the ZZap products that have undergone the BOE & ECB test have passed with 100% detection accuracy. Please note, central banks only test the devices with their respective currency i.e. BOE tests GBP banknotes, ECB tests Euro banknotes. If you do not have a ZZap account: It depends on when you purchased the product and what delivery service you chose upon checkout. Click on the “Shipping” tab above for details. You will receive an email when your order has been dispatched. If you have a ZZap account: click the person icon at the top right and sign in. Then click on “Orders” and click “view” next to your order. This will show the status of your order and show a tracking number if applicable. To track your item in real time, visit the https://www.parcelforce.com/track-trace (Parcelforce) or https://www.royalmail.com/track-your-item (Royal Mail) website depending on what service was used and enter your tracking number. Click on the “Shipping” tab above for more details. Why should I update the software on my device? Central banks occasionally issue new banknotes and coins in order to renew their security features. This makes it harder for counterfeiters to succeed. ZZap provides currency software updates that allow your device to count & check the new currency. New software updates can be downloaded free of charge. Click the ‘Downloads’ tab above for more information. Please note, only some products require a software update to count & check new currency. How do I update my ZZap device? To update your ZZap device, click on the ‘Downloads’ tab above. In the downloads section you will find the latest software and instructions for your device. I need the product to count & check another currency that is not offered? 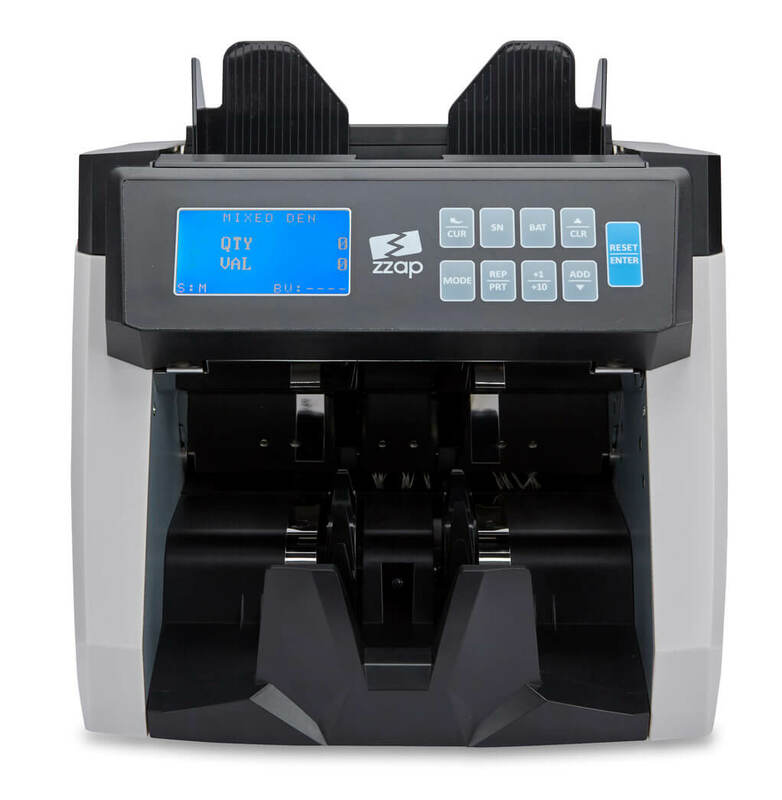 Some ZZap products are configured to count one currency or a range of different currencies. However it is possible for us to configure ZZap products to a currency of your choice, subject to availability. If you would like to know if a ZZap product can be configured to a currency that is not offered on our website, please get in touch by clicking on the “Contact” tab above. How can I be sure that my payment details are in safe hands? Protecting your details is a matter of utmost importance to us. ZZap uses the latest high-security Secure Sockets Layer (SSL) encryption to guarantee that your payment information will only be sent over highly encrypted channels and guarantees sender and receiver authenticity. SSL is the industry standard protocol for establishing a secure connection between computers on the internet. For more information click on the “Security” tab above. We use two status icons to show if an item is in stock. The status icons are displayed near the “Add to basket” button. Green – The item is in stock and ready to order. Orders placed before 14:30 CET are shipped on the same day. Red – The item is currently sold out. Please contact us to know when the item will be in stock. How do I find a product that suits my requirements? Near the top of each product category page there is a “Product advisor” which filters the products shown below based on your answers to our questions. Click on the box next to your answer. Hover your cursor over the small grey “i” icon to show more information about the question. The product advisor is a good way to narrow down your search based on the functionality you require. 1. Once you’ve found an item you’d like to buy, click the green “Add to basket” button. You will then be taken to your basket page and the item will be added to your basket. On your basket page you can adjust the quantity of item(s) you want to purchase or remove the item(s). You can continue shopping by clicking on the links at the very top e.g. “Banknote Counters” and return to your basket later. Once you have finished shopping, click on the basket icon at the top right of every page to revisit your basket. 2. If you already have a ZZap account: click the person icon at the top right of every page and log in. Then click the basket icon to revisit your basket page. On the right hand side of the page, click the delivery method that you would like to use then click the green “Proceed to checkout” button. If you do not have a ZZap account or would like to create a ZZap acccount: click the delivery method that you would like to use (on the right hand side of the page), then click the green “Proceed to checkout” button. 3. Fill in the requested details. If you would like your order delivered to an address different to your billing address, click the “Ship to a different address?” tick box at the top right of the page and fill in your shipping details. If you would like to create a ZZap account ensure you click the “Create an account?” tick box (below the billing details section) and create a password for your account. 4. Select your desired payment method (see the “Payments” tab above for more information). If you want to pay by debit/credit card, you’ll be asked to enter your card details. Your card details are protected by a secure SSL connection, click on the “Security” tab above for more details. 5. Finally, review your order one last time and read our terms and conditions (a link to our terms and conditions is underneath the green button). Once you’re ready, click the green button. 6. After your payment has been processed you will automatically be taken to the thank you page which will show a summary of your order. We will start to process your order and we will send you an order confirmation email. Why should I create a ZZap account? How do I create and use a ZZap account? When you place an order you will have the option to create a ZZap account. Alternatively, click the person icon at the top right of every page and fill in your details in the “Create an account” section, then click the green button. You can log into you account at any time by clicking the person icon at the top right of every page. Once logged in, click on the links on the left hand side to view or update your account information. I have forgotten my password to my ZZap account, what do I do? If you have forgotten your account password, click on the person icon at the top right of every page then click the “Lost your password?” link below the “Sign in” section. Enter your email address and we’ll send you a link that you can use to reset your password. For delivery information please click on the “shipping” tab above. How do I clean & maintain my ZZap product? ZZap products need minimal maintenance which can often be done by yourself. Please check your product user manual for maintenance guidelines. Where can I find my product’s user manual? Product user manuals are always enclosed in the product’s package. If you have misplaced your user manual, please do not hesitate to contact us via the contact page and we will be able to send you an electronic copy. How can I contact ZZap’s customer support? The ZZap support team are always willing to assist you with any queries you may have. Get in touch with us via the contact page or call us on 0333 355 1219. Does ZZap have other dealers? ZZap does have a network of dealers. If you are interesting in becoming an official ZZap dealer please visit our dealer page for more information or get in touch with us via the contact page. We respect our customers’ decision to change their mind. To return an item, please get in touch by clicking the ‘Contact’ tab above. Please click on the “Refunds” tab above for more details. Central banks occasionally issue new banknotes and coins in order to renew their security features. This makes it harder for counterfeiters to succeed. Newly issued banknotes and coins have different characteristics to their predecessors; therefore some ZZap products need their software updating in order to recognise the new currency. ZZap provides currency software updates that allow your device to count/check the new currency. New software updates are free of charge. Please note, only some products require a software update to count/check new currency. The available currency updates are below. To update your device you will need a ZZap accessory that is compatible with your device such as a ZZap USB cable. View the ZZap accessories here. Protecting your details is a matter of utmost importance to us. ZZap uses the latest high-security Secure Sockets Layer (SSL) encryption to guarantee that your payment information will only be sent over highly encrypted channels and guarantees sender and receiver authenticity. SSL is the industry standard protocol for establishing a secure connection between computers on the internet. There are 2 ways to confirm a secure SSL connection has been established. Both ways confirm that your payment details are protected. Your web browser will display a visual cue such as a padlock symbol or green button usually in or around the URL address bar (varies according to the browser you are using). You can normally click on the visual cue to view the details of the SSL certificate, including its validity. The website URL begins with “https://” rather than “http://”. Our payment system meets the strict security standards of the Payment Card Industry Data Security Standard (PCI DSS). Authorising, processing and delivering your order. General administration purposes e.g. delivery/shipping issues, warranty claims, VAT receipts, etc. We may also collect your non-personal information to help us monitor traffic to our website. This includes IP addresses, the name of any website which referred you to our website, the country you are visiting the website from, etc. This information is only used to collate statistics about our website traffic and cannot be used to identify you personally. We make every effort to ensure that all the content within this website is accurate and correct. However, we cannot accept any liability for any loss or damages due to errors or omissions on this website. 1.1 These provisions shall apply to all offers, contracts, performances of assignments and deliveries by ZZap, the trading name for our limited company and from hereinafter to be referred to as the Supplier. 1.2 The supplier will not be legally bound by any images and descriptions in offers, stock statuses, prospectuses, catalogues, size and weight specification tables and promotional material or by any other facts provided by the supplier. 1.3 The supplier shall not be legally bound by assignments, orders and changes unless the supplier has expressly accepted them. The supplier is entitled to refuse an assignment without stating reasons and is not liable for direct or indirect damage, which arises and/or may arise from this refusal. 2.1 Although delivery periods stated in offers, confirmations and/or contracts are made to the best of our knowledge and shall be observed as closely as possible, they are never binding. If these periods are exceeded, the Supplier may consult the purchaser. Exceeding the delivery period therefore does not entitle the purchaser, even after notice of default, to dissolve the contract and/or to claim compensation or to consider any obligation arising from the contract for the purchaser as being suspended or expired. 3.1 The Supplier shall deliver all goods ordered by the purchaser or send them for delivery to the places agreed upon and in the manner stated in the order details or agreed upon afterwards, at the risk of the purchaser unless otherwise agreed upon. All facilities during the delivery of the goods/services will be considered to be provided at the purchaser’s risk. 3.2 The Supplier shall decide the manner in which goods will be transported. 3.3 Goods to be transported shall not be insured unless agreed upon otherwise in writing, in which case, the costs of insurance shall be borne by the purchaser. 3.4 If goods cannot be transported for reasons independent of the Supplier’s volition, the Supplier is entitled to store the goods at the risk and expense of the purchaser without prejudice to the Supplier’s right to claim payment of the purchase price. 4.1 Processed and/or resold goods will be considered to have been approved, without any other right of recovery accruing to the purchaser. 4.2 Complaints shall not affect the purchaser’s payment obligations. 4.3 Items may be returned if the purchaser has notified us within 14 days of receiving the item, Items must be in as new and re-saleable condition with all it’s packaging and contents. Return Instructions made to the purchaser by the supplier, must be followed. Only when the supplier receives the product, will the supplier refund the purchase sum minus the delivery charge that was incurred by the purchaser at the formation of the contract. 4.4 The buyer is responsible for all return postage & packaging costs. 5.1 Force majeure shall be considered as all circumstances of such a nature that performance of the contact cannot be reasonably be required. Such circumstances shall be understood as: whole or partial failure to perform by a third party from whom goods and/or services should have been received, restrictive government regulations of any nature whatsoever, mobilisation, war, epidemics, strikes, sit-down strikes, employee illness, operational failure, fire, seizure, defective machinery, transport difficulties, and furthermore any other circumstance which the Supplier could not reasonably have anticipated and upon which the Supplier cannot exert influence. 5.2 If, as a result of force majeure, the Supplier is unable or only partly able to fulfil his obligations, he is entitled to suspend the contract with the purchaser in part or in whole without judicial intervention, or if such a suspension has lasted five months, to dissolve the contract by registered letter. In that case, the obligations arising from the contract shall end, without the parties being able to claim compensation or any other performance from each other. If the Supplier fulfils part of his obligation, the purchaser will owe a reasonable part of the total price. 6.1 All invoices shall be paid by the purchaser in accordance with the payment conditions stated on the invoice. If there are no specific conditions, the purchaser shall pay within ten days after the invoice date, any time after this date the supplier has the option to revoke the invoice/offer. 6.2 If the purchaser does not fulfil any obligation arising from the contract or does not fulfil it in time, arranges a debt settlement with creditors, requests a suspension of payments or undergoes a similar procedure, is in a state of bankruptcy, closes or transfers his company or, casu quo, dissolves it, or if attachments are made of his assets, any claim from the Supplier towards the purchaser shall be immediately and fully due and payable. The Supplier shall then also be entitled to dissolve the contract without further notice of default or judicial intervention and to take back goods that have been delivered but not paid for or to suspend implementation of the contract, all this without prejudice to the right to compensation. 7.1 The Supplier guarantees the proper functioning of the good supplied by it for a period which depends on the good in question. The duration of the guarantee period is listed on the website for each good. The website also states under which conditions the guarantee period can be extended. „Proper“ is to say that the goods will possess the qualities that may be expected on the basis of the contract throughout this period. If a delivered good shows a defect during this period, the guarantee entitles the purchaser to have the good repaired. The Supplier may choose to replace the good or to refund the purchase price instead of repairing. 7.2 With regard to the good repaired or replaced on the grounds of the first paragraph, the original commencement date of the guarantee period will remain applicable. A new guarantee period therefore does not commence for a repaired or replaced good. assembly, installation or the undoing thereof by anyone other than the Supplier. 7.4 The guarantee referred to in the first paragraph shall expire in full if the purchaser does not fulfill their obligations towards the Supplier fully and in good time or if the purchaser repairs the good himself or allows it to be repaired or mended by a third party. 7.5 The Supplier shall charge all work and costs connected to repair that fall outside the framework of this guarantee according to his customary rates. 8.1 The Supplier is not bound to accept returned goods from the purchaser unless they have given prior written consent. Accepting returned goods does not in any case mean that the Supplier acknowledges the grounds stated by the purchaser for returning the goods. The risk of goods returned will remain with the purchaser until the Supplier has credited them. 10.1 The supplier will not be responsible for financing the cost of collection and treatment for products at the end of their life. The purchaser accepts full responsibility to finance the cost of collection and treatment for the product(s) purchased. 10.2 If the purchaser resells or offers the products to another business or individual it is the responsibility of the purchaser to ensure the end user of the product(s) accepts full responsibility for financing the cost of collection and treatment for the product(s). 10.3 If the purchaser wants to dispose of the product(s), the purchaser must take it to a recycling centre. Recycling electrical and electronic devices is free at your local recycling centre. To find your nearest centre, visit the Recycle More website, www.recycle-more.co.uk. Never throw away electrical products with the household trash. The obligations between the Supplier and purchaser are exclusively governed by English law. 2. ZZap Ltd does not guarantee that the website does not contain any information which is incorrect. ZZap Ltd cannot be held liable for damage or loss which occurs or could occur as a result of the direct or indirect use of information on this website. 4. Downloading or otherwise acquiring material through the use of this website takes place at your own discretion and risk. You yourself are responsible for any damage or loss to your computer system or loss of data arising from downloading such materials. 5. The layout and design of www.zzap.com and the information, texts, images, logos, photos and illustrations displayed (or any part) may not be used for your own purposes, to make it public, reproduce it and/or frame it without the written permission of ZZap Ltd.
6. The trade name right and the trademark right to the name ZZap Ltd and the trademark right for the ZZap Ltd logo are held by ZZap Ltd. Without the written permission of ZZap Ltd, it is explicitly forbidden to make use of the trade name and brand name ZZap and/or the ZZap logo.